One of the challenges facing startup support organizations of all kinds is how do we know that we’re doing a good job? Which programs are most effective? Which initiatives are worth continuing and which need to be changed or dropped? Even if we feel confident in our own activities, how would we convince someone else (including funders)? Jesse Rodgers, CEO of Volta Labs in Halifax, has written a lot about startup ecosystem metrics and has years of experience in dealing with these critical issues—both in his current role and in his previous roles running Creative Destruction Lab (Toronto) and Velocity (Waterloo). 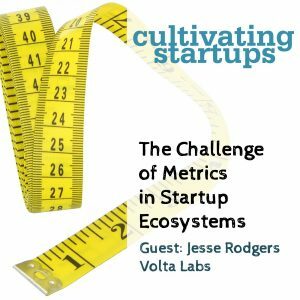 We talk to Jesse about the complex topic of metrics in startup ecosystems.